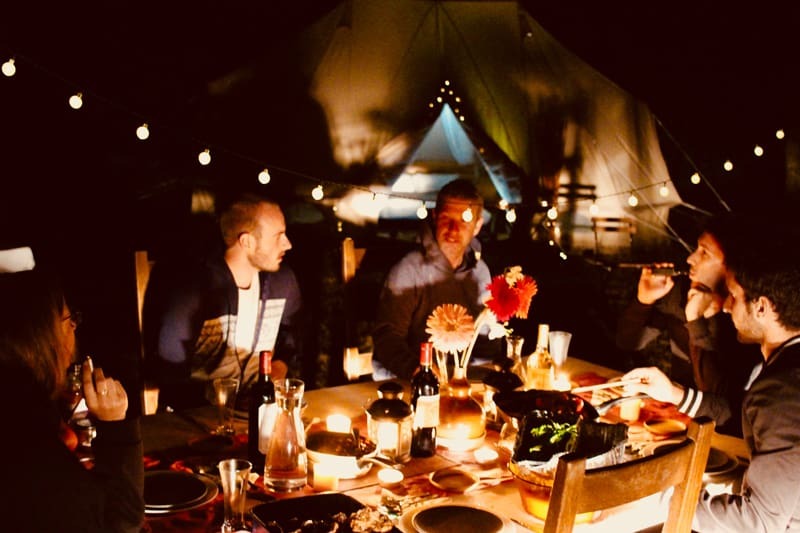 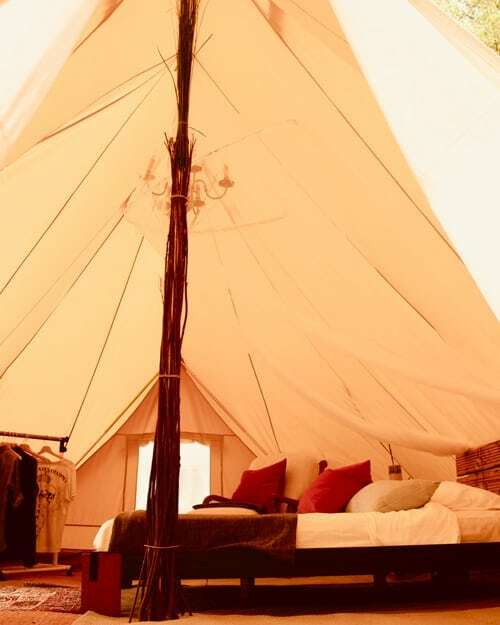 Sanctuary Surf is a boutique glamping surf retreat in French wine country complete with gourmet eats, lux canvas tents, and a picturesque campsite five minutes from the beach. 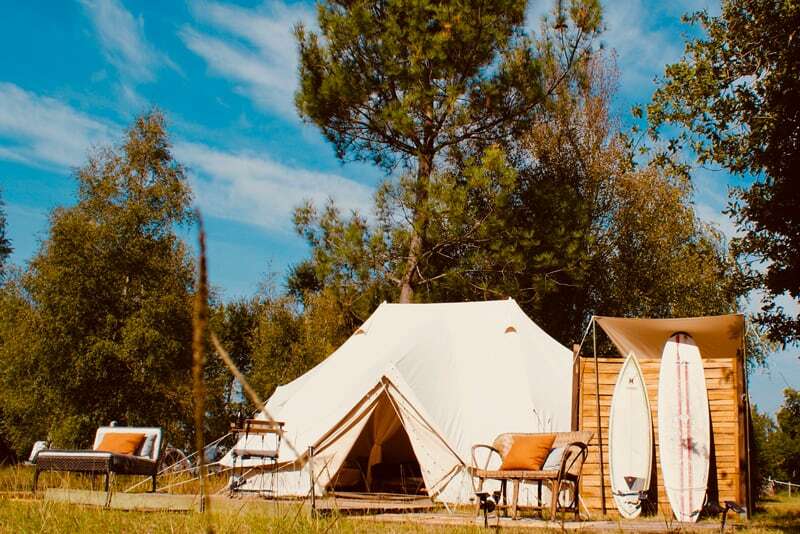 Sanctuary Surf offers up a unique glamping surf experience nestled among the gorgeous pine-tree studded coast of the French wine region of Le Médoc. 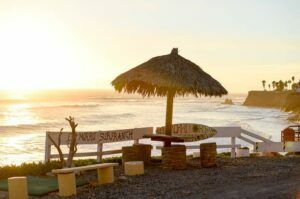 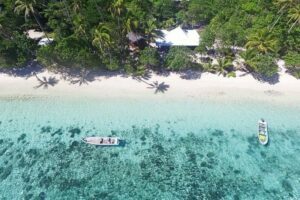 If you’re into foodie-approved meals, sunny beach days, fun surf, and being in nature with all the comforts of a hotel, this place is your jam. 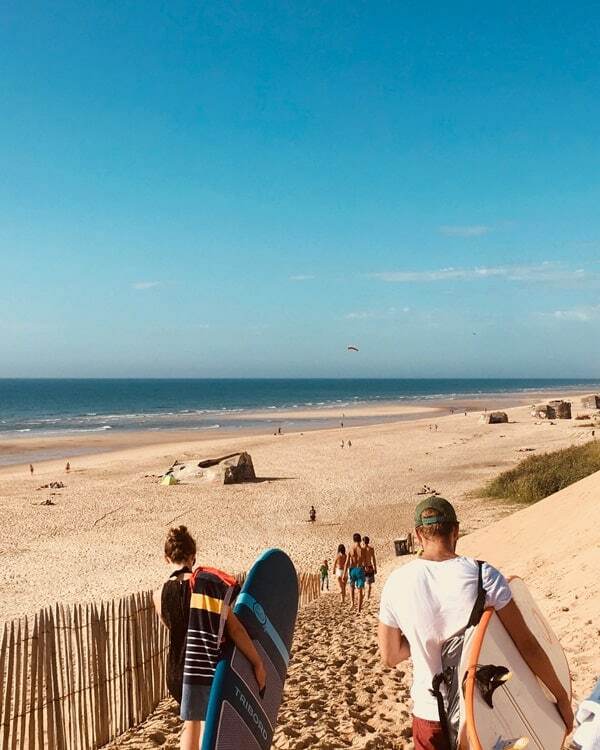 Spend your days surfing and soaking up rays at the plage Le Pin Sec, feasting on local gourmet cuisine under the stars, and falling asleep to the sound of silence in a chic canvas ultimate emperor tent complete with a King size memory foam mattress and glamp vibes for days.